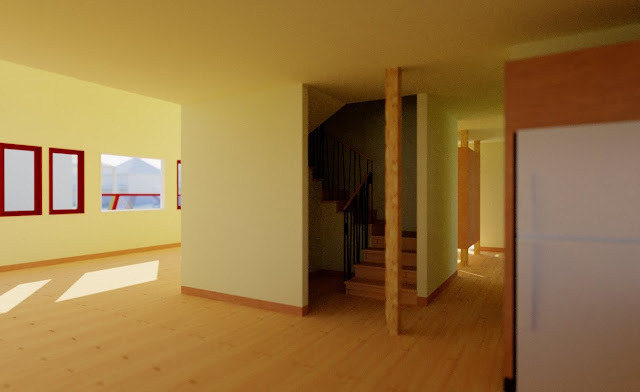 This is where the central stair of the Cube House begins - off the dining area next to the kitchen and living room, just down the hall from the entry foyer. In this exposure the stair well is dark but it will actually lead up to several bright spaces which we will see in coming images. Stick with us!